12/15/2016 - IT-connect is a French platform providing lectures in network and system administration for IT professionals as well as news and tests on the latest electronic devices released on the market. Florian Burnel, founder of IT-Connect, tested for us the Thecus N5810PRO with mini-UPS and running on the new ThecusOS 7.0. “The specifications on paper are really enticing especially with integration of a mini-UPS. 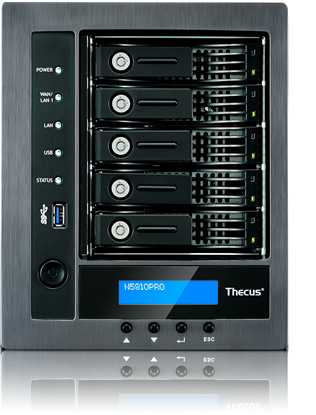 Thecus provides a 5-bay NAS, with 5 Ethernet Gigabit Ports, on this kind of model it’s exceptional [...] Performances are really good”. The N5810PRO is built for powerful performance, through its multiple LAN connections and via link aggregation, the system can reach rapid throughput speeds of up to 500 MB/s. The Thecus App Center provides a wide range of official and 3rd party applications. “The shop is evolving fast, it counts more than 700 Apps, that is enormous […] ThecusOS 7.0 integrates the File Center and it is clearly oriented towards multimedia with the streaming of contents via HDMI, Apple TV or Chromecast. 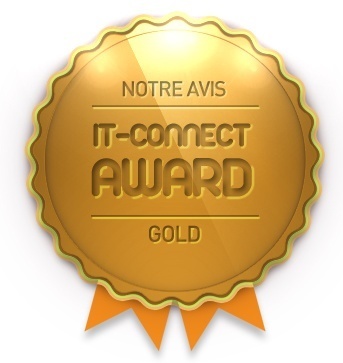 We thank Florian at IT-Connect for the award.